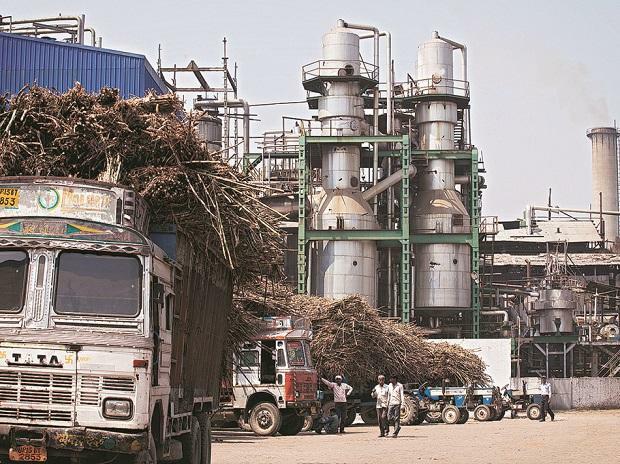 The hike in the minimum support price for sugar to Rs 31 a kg is likely to lead to a 300-400 basis points increase in operating margins of mills in the current sugar season, says a report. According to a Crisil report, this will lead to incremental domestic sales realisation of Rs 3,300 crore, while higher export prices will generate another Rs 200 crore. On February 14, the government had announced a 7 percent increase in the minimum support price to Rs 31 per kg from Rs 29 for sugar. "This will help sugar mills reduce their cane arrears, which stands at Rs 20,000 crore now, by 18 percent to Rs 16,500 crore. It will also cut the losses that mills have racked up because of excess supply and tepid exports," the report said. Raw material cost as a proportion of sugar sales increased to about 90 percent in the current season following an uptick in the fair and remunerative price of sugarcane, and subdued sugar prices owing to oversupply both locally and globally, the report said. "Though government took steps to arrest the losses of sugar mills, non-integrated units continued to bleed in this season," the agency said. The report further said higher MSP would mean non- integrated mills can break even or report low single-digit operating margins of 2-5 percent this season compared to 1-2 percent in the 2018 sugar season. "Integrated players could see that number up 13-15 percent compared with 9-12 percent. Integrated sugar mills will also continue to benefit by fast-tracking ethanol manufacturing," he said. Global sugar production is expected to decline nearly 5 percent to 185 million tonne this year. "That should support a gradual clearing of inventories and bolster prices this season," the report added.